The pioneer, adventurer, inventor, commercial and social entrepreneur, political innovator, original thinker and creative artist are notable expressions of how individuality contributes to the development of society. Why is Podgorica Plenum Significant? Within the last eight months, WAAS has completed its second major conference and second plenum. 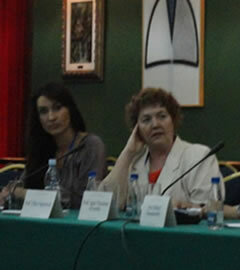 An international conference on Humanities and the Contemporary World was conducted in Podgorica on June 7-9, 2012. It attracted 70 participants, including 26 Fellows of WAAS from Austria, Belgium, Bosnia and Herzegovina, Brazil, Bulgaria, Croatia, India, Italy, Poland, Romania, Serbia, Sweden, Turkey and the USA. The conference was organized by the Montenegrin Academy of Sciences and Arts, and co-organized by the World Academy, the European Academy of Sciences and Arts, ALLEA and the Inter-Academy Panel. It included stimulating sessions on two WAAS projects: Individuality and The Limits to Rationality under the encompassing theme of Human Capital. WAAS has just released two completely new publications: Eruditio, an e-journal, and the WAAS Op-Ed e-newsletter. Two new projects – Global Rule of Law and the New Sciences – are beginning this year. We have recently conducted two web-seminars and more are being scheduled for the fall. Remarkably, the Academy now has approximately 400 active Fellows. Governance has been and is one of the essential projects of WAAS, and our own governance is now truly democratic. We are striving to create a receptive climate for generating more new methods and innovative ideas. Last month, WAAS inaugurated its new center in Podgorica in collaboration with the Montenegrin Academy. Together with the Pondicherry, India center operated with The Mother’s Service Society, we now have two productive focal points for on-going activities, which leverage WAAS and partner resources for greater impact. WAAS centers are an institutional form of cooperation between WAAS and national academies, universities, institutes and NGOs. We have also received proposals to establish centers in Bosnia and Herzegovina, Brazil and Croatia. As the only global academy, WAAS is a unique organization. As its founders emphasized, it is the academy of art and science and an agency for human welfare. WAAS continues its active collaboration with the Club of Rome on new economic theory, employment and the change of course project. We are also pursuing active discussions with officials of the European Commission, ILO, European Leadership Network, Middle Powers Initiative, Green Cross International and other organizations. The forthcoming conference on “Nuclear Threats and Security”, which is organized by WAAS, European Leadership Network and Inter University Center, will strengthen links with organizations devoted to disarmament and peace. 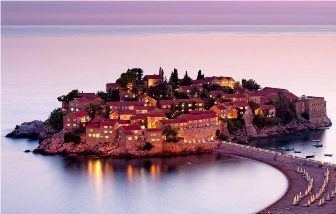 The Academy is also co-sponsoring and co-organizing a series of conferences in the coming months in Split, Dubrovnik, Krakow and Sopot. We will also be involved in the evaluation of higher education institutions by collaborating with the International Observatory on Academic Ranking and Excellence (IREG). The conference on Humanities and the Contemporary World at Podgorica, Montenegro devoted two sessions to explore the role of individuality in human accomplishment at the personal, community, national and international level. History celebrates strong individuals — thinkers, rulers, artists, discoverers, pioneers, even rebels. Whether their individuality has been rewarded or stifled at the time, it has invariably led to progress. The session examined fundamental questions such as What is Individuality? How does it develop? What is the process of individuation? What is the role of society in fostering individuality? What is the role of individuality in shaping social development? What is the relationship between individuality and accomplishment? Earlier, on February 17, 2012, an e-conference on The Emerging Individual was conducted involving brief presentations on the theme, followed by a discussion of themes related to the Academy’s Individuality Project. The presentations and discussions at the two conferences brought out various perspectives on the subject. Garry Jacobs, coordinator of the Academy’s project on the Emerging Individual, traced the development of individuality as a key aspect of the evolution of humanity and highlighted the crucial role of the individual in social development. Ivo Šlaus underlined the importance of human and social capital. Augusto Forti sketched the emergence of individuality in Europe and the role of science, technology and the bourgeoisie in the process. Stacey Day emphasized the need for bio-psycho-social moral education that reinstalls in the individual a sense of responsibility for human existence. Ljudmila Popovic examined how global migratory movements affect, inform and reconfigure modern subjectivity, which in turn, constitutes one’s individuality and identity as socio-culturally and econo-politically recognizable. 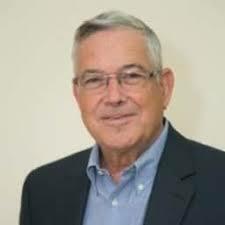 Emil Constantinescu noted that the huge quantity of contemporary information poses the risk of robotization of human beings, and that bare information opens a royal way to massification, whereas knowledge stimulates the harmonious development of responsible individuality. There is no other antidote for de-humanization but an individual capacity for transmutation, as in the old alchemist’s retorts, of the lead of information into the gold of knowledge. Mirjana Radovic-Markovic advocated a change in the existing concept of education that adds individual creativity to skills, training and management. She explored various interactive and creative methods of education that provide a new dimension to gaining knowledge. Olof G. Tandberg narrated the fascinating story of a unique individual, Abdus Salam, who founded and headed important scientific bodies worldwide. Tandberg traced Salam’s journey beginning from his humble origins in rural Pakistan, to his winning the Nobel Prize for Physics in 1979, and beyond. 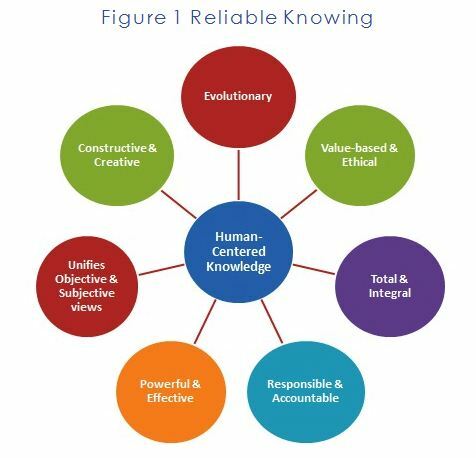 Ashok Natarajan traced how the individual evolves from the amorphous collective through successive stages of manners, behavior, character, and personality culminating in the emergence of individuality as the ultimate step in human development. 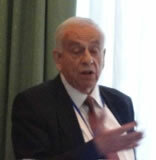 Zbigniew Bochniarz stressed the importance of the role of economists and the academia in shaping human and social capital. Faris Gavrankapetanovic examined the close relationship between globalization and individuality. Winston Nagan explored links between individuality, art, aesthetics and human rights. Saulo Casali Bahia focused on the need to rebuild aspects of the legal and political conception of individuality in Latin America. 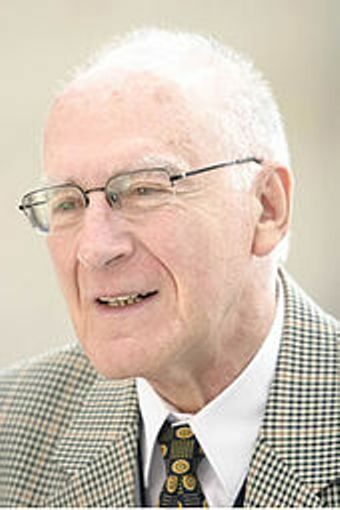 Alberto Zucconi emphasized the contribution of psychologist Carl Rogers to understanding the distinguishing characteristics of individuality — self-efficacy, resilience, self-esteem, the capacity to cope better with adversities, and to work for the betterment of society. Raoul Weiler stressed the need for a cultural revolution which undoes the threat that the march of civilization poses to the world’s bio-sphere and eco-sphere. The discussion also examined the close links between individuality and social evolution, and the role of literature as a powerful instrument for the conscious evolution of society. Formed individuals seek to fulfill higher aspirations, express new conceptions and initiate new actions which are eventually accepted, imitated, organized and assimilated by the collective. The present global financial and other crises can be taken to be a wakeup call to all, particularly the academic community, to analyze past mistakes in shaping human and social capital, and nurture creative approaches to find solutions. It is the original thinker, entrepreneur, adventurer, creative artist, social innovator – in other words, the individual – who can meet the present and future challenges of an increasingly complex world. The evolution of individuality remains incomplete. Convention and conformity stifle it, while rebelliousness and selfishness distort it. To guide social development, financial management, full employment, democratization, environmental protection and all that the future has in store for us, the need of the hour is the formulation of responsible individuality. It is ironic that the modern scientific world which places so great a faith in the human faculty of rationality spends so little time reflecting on what it is, how it works, what its limitations are and why it is so often absent. On June 9th, 2012, the Academy conducted a special session in Podgorica on “Limits to Rationality”, a sequel to the session at the Hyderabad General Assembly in 2008, and the official launch for an on-going project on this important issue. Whatever the limits to rationality may be, it is evident that the world would have far fewer problems if rationality were more prevalent. If human affairs were governed by anything more than a semblance of rationality, human beings would never have built 70,000 nuclear weapons to preserve world peace, founded an undemocratic UN system to promote global democracy, propounded the logic of Efficient Market Theory whose primary achievement has been to destabilize international financial markets and undermine the entire world economy. Any discipline that includes “irrational exuberance” as an important factor in its equations is clearly not founded on rational principles. Rather, we would be seriously questioning the ‘rationality’ of a global competitive security system which encourages each nation to maximize military spending to protect it from its neighbors, a Nuclear Non-Proliferation Treaty which encourages proliferation, an economic system that rapidly consumes the natural resources and pollutes the environment which are the basis for life on earth. The limits to rationality are of primarily two types: those arising from a misapplication or wrong application of rational argument to justify and support conclusions that are self-serving, reinforce traditional beliefs and pre-conceived notions; and those arising out of characteristics of rationality as a faculty and of mind as an instrument of knowledge. Both merit serious consideration. On reflection, it is remarkable how little we know about human rationality and how little we apply what we know. Karl Popper observed that almost all great scientific discoveries are the result of intuitive insights, rather than rational processes, yet the focus of modern science is almost exclusively on the rational processes of experimental verification rather than the creative processes that lead to new discoveries. Simeon Anguelov pointed out that the plethora of information that inundates us through the media and academic sources creates an overload that makes rational evaluation nearly impossible, a phenomenon referred to by Michael Marien as ‘infoglut’. As a result, we take recourse to non-rational methods, relying on popular opinion, ‘commonsense’, the words of a reputed individual or institution, or the sanctity of the printed word as a substitute for rational evaluation. Discussants identified common list of sociological, epistemological and psychological impediments to rationality, such as the fallacy of authority, credentialism, groupthink, metaphysical illusions arising from the deep human inclination to link all things together; spurious rational explanations; intentionality; the urge to submit to authority highlighted by Erich Fromm; and nostalgia for the absolute. The seminar also explored some of the inherent limitations to human rationality such as its excessive dependence on physical sensory information, reductionism, and exclusive concentration on parts or aspects of reality and tendency to mistake them for the whole. Pieter Drenth’s article on Research Integrity in Cadmus Issue 4 addresses these concerns by calling for a code of standards and self-regulation governing global research activities. Similarly, today there is need for an organizing committee to project standards of rationality in all fields of knowledge and human affairs. As a group encompassing all fields of knowledge and activity, the World Academy is eminently qualified to lead the way in formulating and promoting global standards for the pursuit of knowledge and its application for the betterment of society.